Got nothing to do so i decide to share some idea of style on winter (well, since my country, Indonesia doesn't have winter season, it's best for rainy day). I wrote this based on my mind, so it's okay if some of you don't agree with me. It's been raining here in Indonesia for awhile. We can't leave without the proper outerwear and umbrellas, of course. 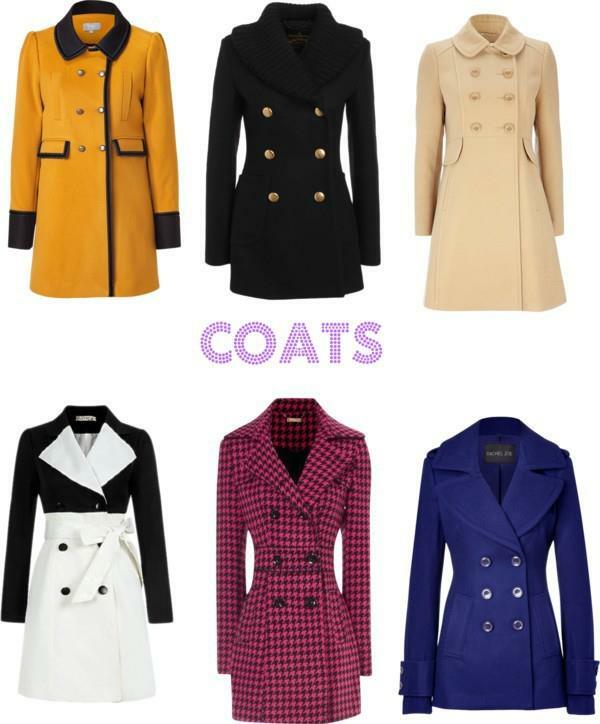 So here it is, perfect outerwear for rainy season or winter! Who doesn't love cardi? Even if it's not rainy, some girls wear this to complete their style. Its fabric is thin, but we can find cardi with thick fabric. 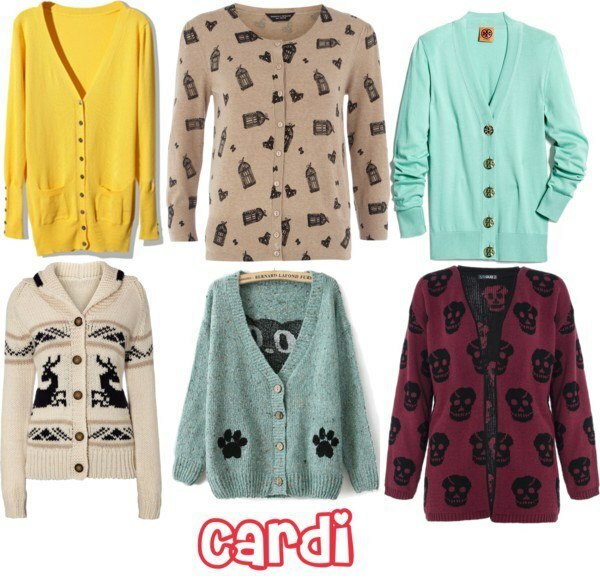 If it's for fashion or rainy day (in this case, cold season), cardigans are recommended and perfect for girls. Pick the perfect color for you. The pastels is perfect for people who are girly, floral for the romantics, or even neutral. Cardigans with prints are attractive. Sweaters have more thick fabrics than cardigans. They usually don't have buttons. 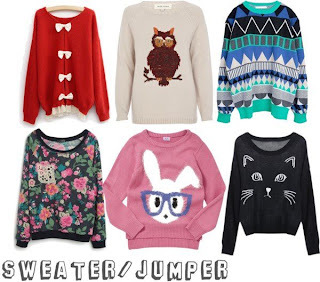 Girls can keep stylish with sweaters in rainy season. Sweaters these days are more fashionable. You can find those at dept stores, online stores or thrift stores. Wear sweaters with jeans to do a casual look, or with skirts for girly look. For those who want to look more edgy, you can wear jackets. There are many kinds of it. 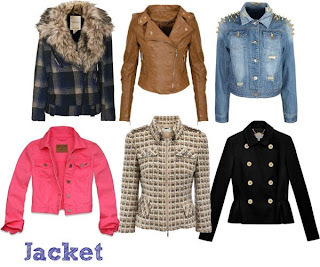 Denim jacket, biker jacket, wool jacket, etc. Jackets will keep you be stylish on the streets while it's raining. 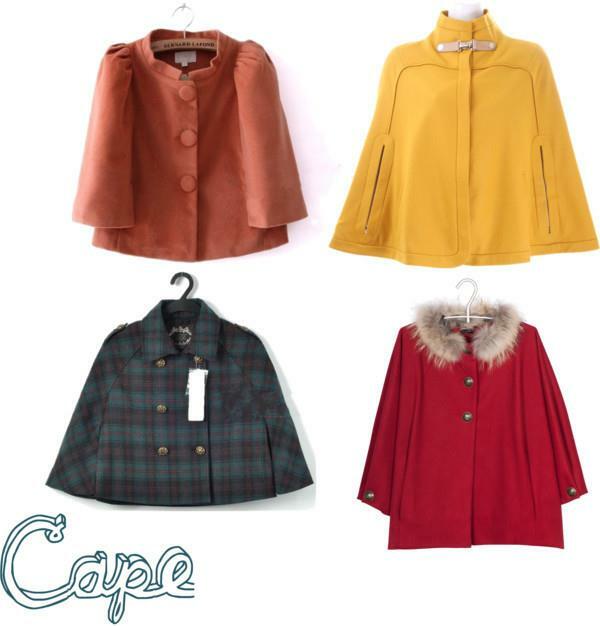 Some jackets have a cape for your head so our head (especially hair!) won't get wet. Find your color and style, and you're ready to rock! Who says outerwears can't be worn for formal outfit? Blazer is your answer if you want to prevent cold but formal in a same way. I remember how blazers were so monotone with neutral colors. But these days, colorful blazers and prints blazers are totally in! 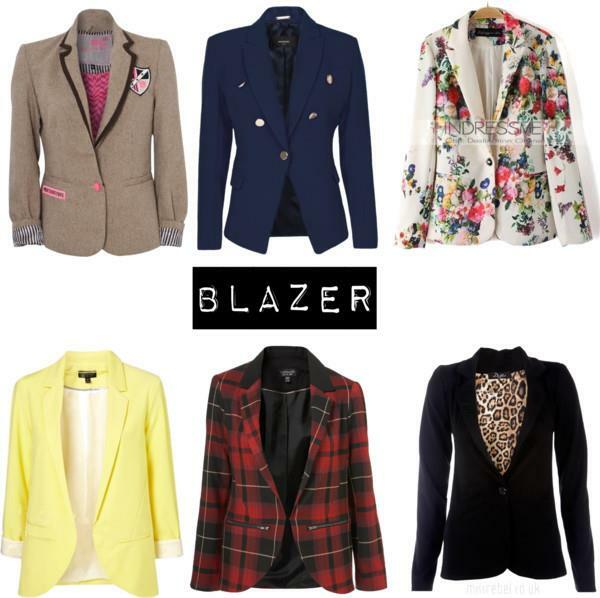 Combine blazer with a blouse for executive look, or with dresses for girly look, or maybe shorts for formal-casual look. Pick yourself! It's rare here in Indonesia to wear coats and capes. We usually buy coats or capes to be worn abroad that colder than here (besides, Indonesia is a tropical country). But i've met a few who wore these in Indonesia. Just for stylish, i guess. We can wear these in rooms with air conditioning. Or we can wear it outside when it rains and the weather is cold! you really have a good sense of fashion! Anyway, followed your blog already. Mind to follow back? These are all absolutely wonderful picks! I like them all. 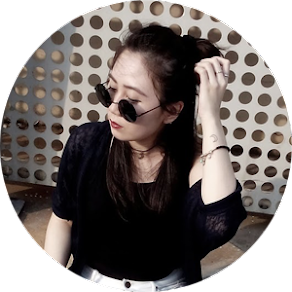 very cute fashion blog, dear !! 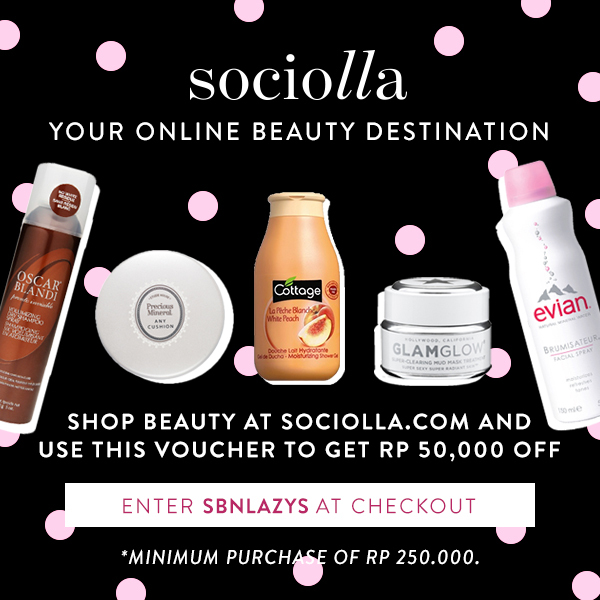 check out my fashion blog.. there's giveaway open internationally now !! Extraordinary pieces! I love that yellow cape and navajo sweater! re: you're so right! justru kalau kurus malah lebih prone to illness. i definitely need to exercise! I really love your cardigan choices, the 4 last one are my fav', love the yellow coat and the red cape, love the blazer #3 #4 #5 and the denim jackets and all the sweaters, perfect selection ! I want all the capes and sweaters! i hope someday i can reply your comments one by one :)) keep reading! i love jacket and sweater!! i love sweaters and blazers! 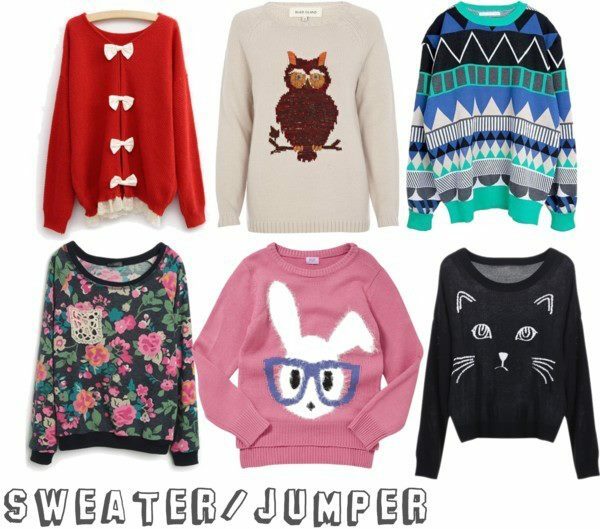 Those jumpers are so lovely! 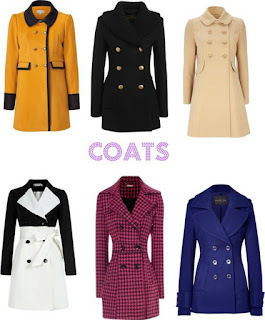 Use DressVenus Outerwears for fashion.